Most of us dread standing up in front of a crowd. In fact, sociologists rank public speaking as our greatest fear. But there’s good news. You can overcome this and other fears through the Vocal Awareness® System that Arthur Joseph has spent over four decades successfully developing. 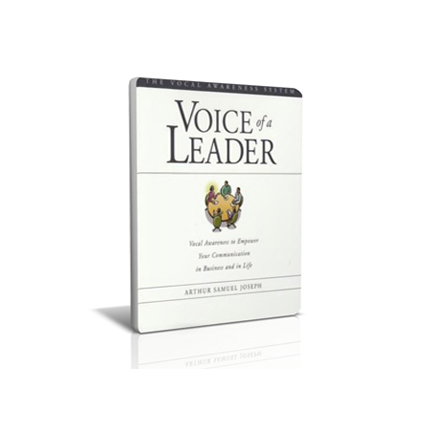 Now, on Voice of a Leader, Joseph offers proven methods to create a paradigm shift in the way you present yourself. You will learn the skills necessary to maximize the power of your voice, increase your confidence, and instill consciousness in your communication both in business and in life. Join this leading authority on voice training to learn: • The 7 Vocal Awareness® rituals to become a more authentic and powerful communicator • How to make the sale with the power of storytelling • 10 proven strategies for enhancing vocal stature Speak with authority is your greatest tool for becoming a wholly integrated and successful person. Now, with Voice of a Leader, you will learn to reclaim your most overlooked business asset—your Voice.